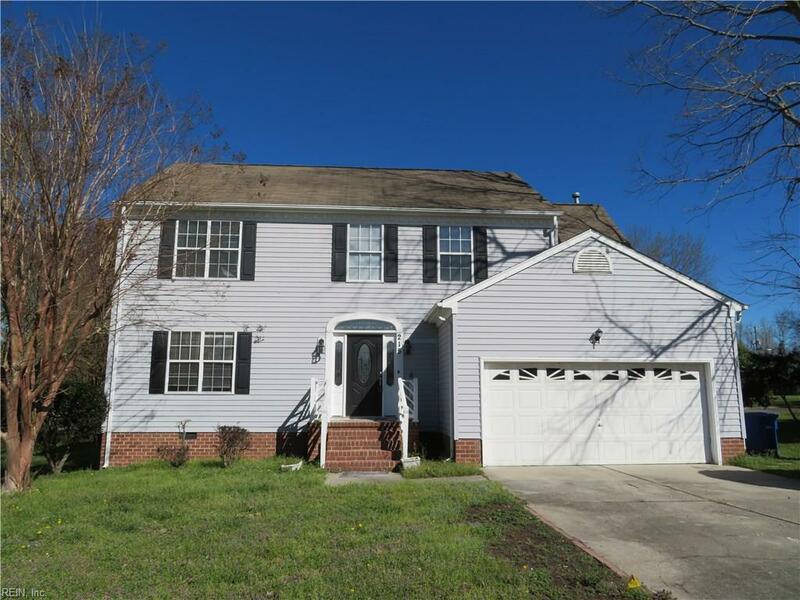 215 White Stone Ct, Newport News, VA 23603 (#10251746) :: Abbitt Realty Co. 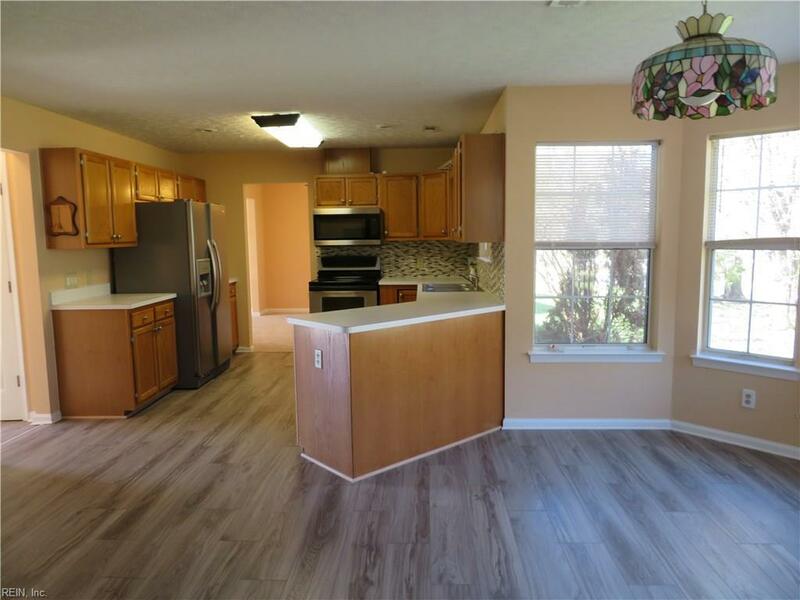 Enjoy this 4BR, 2 1/2 bath home. Freshly painted throughout. Luxury vinyl in entrance & kitchen, roomy LR (13x15) + nice size DR. Brand new carpet throughout. 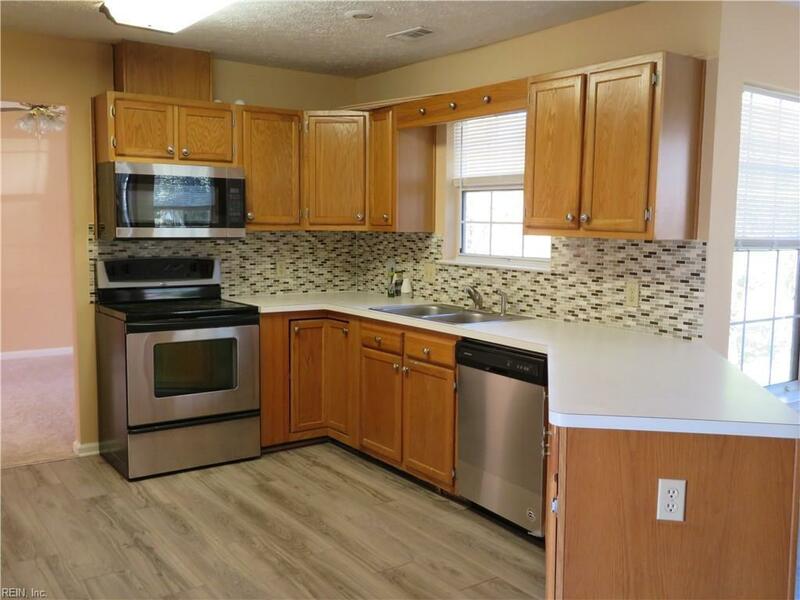 Kitchen has great cabinets + counter space with stainless steel appliances and nice sized pantry. Breakfast nook off kitchen that opens to roomy family room, (15x15). Gas log fireplace. Great closet space with walk in closets in most bedrooms. MBR with deluxe bath with soaking tub + separate shower + more. 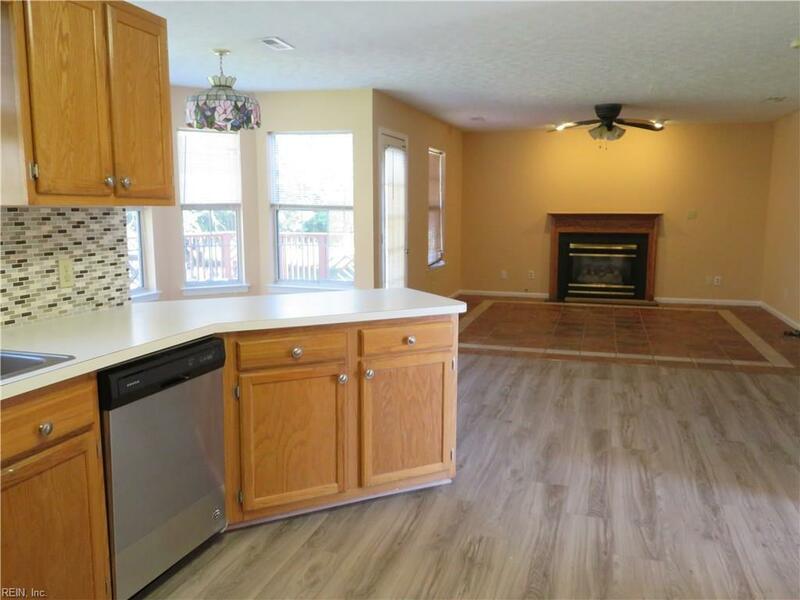 Entire home has an open floor plan. Nice deck off family room overlooking backyard. Enjoy oversized garage with extra storage space.